The simplest of grilled mahi mahi recipes with a mixture of baked vegetables. 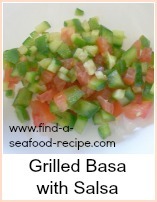 This would be equally good grilled, griddled, pan fried or barbecued. The marinade is easy and the veg is just left to get on with cooking. You could use shark, tuna or swordfish if you can't get mahi mahi. Heat oven to Gas Mark 7, 425F, 220C. Put the mahi mahi into a dish and pour over 1 tbspn oil. Add two cloves of garlic and the leaves from a sprig of thyme. Leave to marinade whilst the vegetables cook, turning a few times to coat. Put the potatoes, peppers and onion into a roasting tin. Drizzle over the other tablespoon of oil. Strip the leaves from the rest of the thyme and sprinkle over. Give it all a really good mix together and bake for around 25 to 30 minutes until the potatoes are close to tender. Add the tomatoes and the last clove of garlic and stir through. Cook a further 10 minutes or so - the tomato juice should have reduced a little. 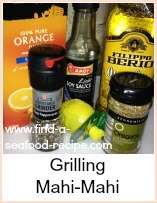 Heat your grill/griddle and remove the mahi mahi from the marinade. 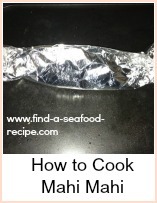 Cook 1 minute either side, baste with the marinade as you turn. Cook a further 2 minutes each side until cooked through. 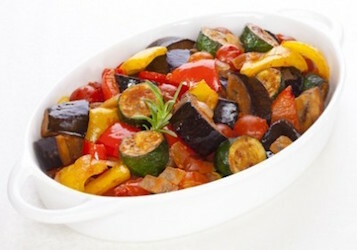 Serve on the bed of roasted vegetables. This Grilled Mahi Mahi recipe is the simplest of grilled mahi mahi recipes with a mixture of baked vegetables.